Every reporter at the Trib had to come up with a few holiday brights — or stories that entertain while they educate. Here’s one of mine. 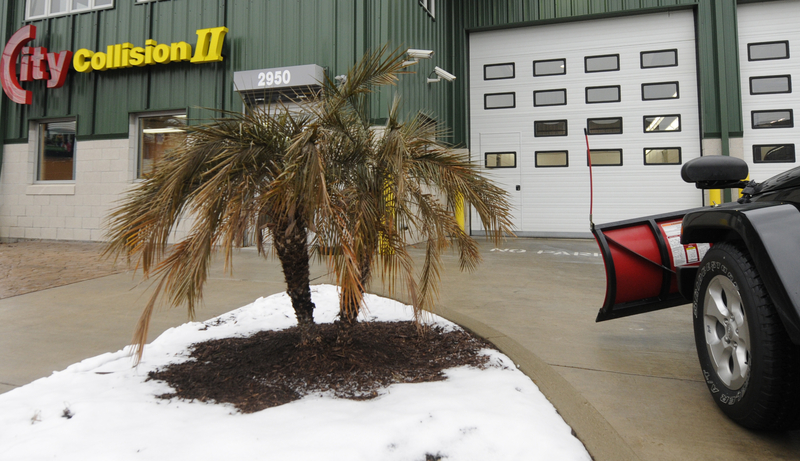 I had seen this Strip District body shop in the summer and noted that it looked like it belonged in Florida, with palm trees planted in front. I wondered how the owner keeps them alive during the harsh Pittsburgh winters. Spoiler alert: He doesn’t. 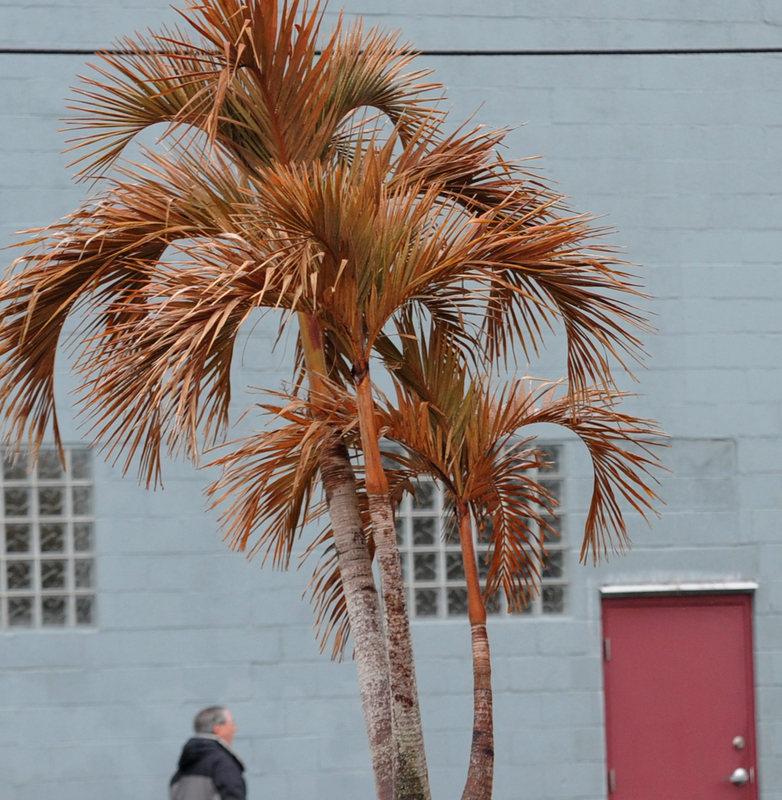 Steve Schaffer dreams of the day he buys a second home in Key West, Fla.
Until then, the native Pittsburgher makes his own tropical paradise for as long as it lasts — planting palm trees in the spring and then, at this time of year, watching them wither and die. A few hardy Pittsburghers are willing to do what it takes to bring a little bit of the tropics north of the Mason-Dixon line — even if that means keeping up the Sisyphean task of buying tropical plants each spring. This entry was posted in Brights and tagged Arecaceae, Florida, journalism, Key West Florida, Mason–Dixon line, palm, Pittsburgh, Pittsburgh Tribune-Review, Pittsburghers, Sisyphus, Strip District Pittsburgh by Andrew Conte. Bookmark the permalink. Nice feature story; I really enjoyed reading it.